::::. [ Dogmo Studios | Eliza Wee | résumé ] ::. Enthusiastic champion of standards, experienced design professional with a background of over 25 years. Interested in collaborative projects that use my powers for good. Love being in the sweet spot that combines geek and art. Bits bytes pixels points ems rems. Over 25 years experience with both traditional and digital media. Design, development, and production for a variety of nonprofit, community, and SMB clients. Adept at balancing all aspects of information delivery--from print to web and beyond. Unique combination of visual design skills, coupled with standards-compliant front-end development, and through understanding of project management, UX/UI, business goals, and best practices. Proven track record of enthusiastic advocacy for collaborative and multidisciplinary teams. Adept at creating client-specific solutions for a variety of design problems. Mastery of both technical and fine art illustration. Exhibitions include APAture 2002 and 2004, g1 studios 2003 ("Una Noche de Amor"), Oakland Open Studios 2007, and the 2012 Sketchbook Project. 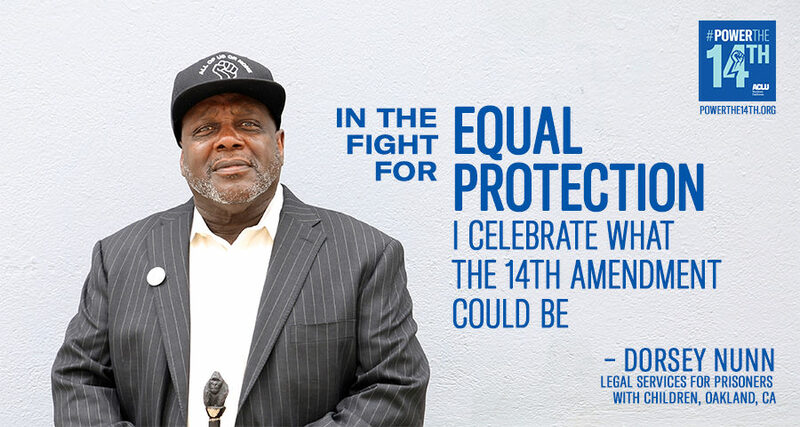 ACLU's #Powerthe14th Campaign. Fabulous collaborative effort honoring the legacy of the 14th Amendment. Responsible for all areas of UX/UI, responsive design, infographics, social media, and QA/testing. Astraea Foundation's LGBTQ Racial Justice Fund. Website design and build from the ground up for this exciting new fund. This project took disparate sources of data, UX/UI research with a cross-section of funders and Astraea staff to build a modern, responsive site, with a highly customized Wordpress back- and front-end. Annual report for Code for All and the design of individual Case Studies for each of their 2013 partners (Code for the Caribbean, Code for Mexico City, Code for Germany) and for the Code for All program (PDF files). Geography at UC Berkeley. This project updated the existing website design to be responsive and work with modern browsers and devices, while also moving them into a custom Wordpress setup. We were responsible for all facets of the project from start to finish. Cal Alumni Association of UC Berkeley. CAA's site was revamped to have a common look/feel across three distinct departments, while featuring custom branding for the California Magazine and the Lair. Our responsibilities included: project management, UX/UI, design, and front-end development. The back-end was built in-house using Drupal. Federal Reserve Bank of San Francisco. UX, Front-end design and development for the public facing websites for the Federal Reserve Bank of San Francisco. Report on the State of the DLSE was an ambitious project highlighting the incredible work accomplished by the State Labor Commissioner Julie Su and the Division of Labor Standards Enforcement. This project required the distillation of vast datasets into a succinct and coherent design (PDF). Recipient of 2nd Place Award at Change.org's first-ever Hack for Change contest. Part of a three-person team, provided design, UX, strategy for AnonyMouse, an SMS/mobile/web app that connects LBGT youth with mentors that can safely and anonymously answer difficult questions. Created promotional materials (including a billboard!) for Amnesty USA's first ever Shine a Light on Human Rights award presented to His Holiness the 14th Dalai Lama. It was a particular honor to have the opportunity to work with the artwork of one of my heroes, Shepard Fairey. Integration of all levels of UX design for a rapidly growing children’s brand and commerce platform. Design and development of a new COPPA compliant domain, working in close collaboration with internal and external partners to create custom interactive content and to update existing materials. Management of cross-functional initiatives and priorities for site enhancements, e-commerce UX/UI, customer retention, churn reduction, and high value promotions. Augmentation of front-end processes to include more robust responsive design, development, and testing. Redesign of main subscription pages, resulting in an immediate positive change to the overall mix shift. Design and implementation of a new one-stop renewal process, creating a more cohesive user experience from initial emails to the optimized final cart experience. Creation of unique visual experiences for a variety of user-facing products including Little Passport’s blog, providing a robust traffic driver to the site via organic search. Multiple responsibilities include graphic design, front-end design (including expert knowledge of SCSS, HTML, and working knowledge of JS, JQuery), collaboration with Marketing, Project Management, and Product Design teams. Enthusiastic advocate for collaborative problem solving to bring ideas from proof of concept to implementation and delivery. Strong knowledge of technical and design challenges within web, print and mobile applications. Passionate about exploration/learning new software/skills/technologies to discover the best solutions for any problem. Providing creative and technical interface with our various web teams: Development, Edit, Sales, Ad/Agency contacts, Ad Operations, Business Development, and Marketing. Utilization of Scrum/Agile Software Development practices, Eclipse, and Subversion to address bugs and other tasks as needed. Prepress, proofing, and troubleshooting for over 120 advertiser files monthly. Responsible for all aspects of traffic--advertiser contact, file troubleshooting, printer liason, proofer maintenance, financial/paperwork checks. Zero production makegoods in over 7 years. Responsible for converting the TIFFIT/P1 workflow to 100% PDF/X-1a workflow. Calibration and maintenance of proofing equipment. Online production--responsible for translating print articles to XML, working with App Dev, Edit, and Art. Troubleshooting XML and HTML files. Updating static HTML pages as needed. Pushing pages and images live using CMS and in-house tools. Review and troubleshooting of XSLT, feedback for updating internal schema. Licensing--primary contact from 2003-2006 (when the feeds were moved from push to pull) for all monthly feeds. Responsible for generating and pushing the feeds, and troubleshooting issues. AdOps tasks as needed--scheduling newsletters in DART, online graphics on immediate turnaround. Updating static online pages using CMS system. Traffic, prepress, and troubleshoot all ads for Gamepro's monthly magazine. Manage all aspects of production for Gamepro's quarterly Wii Guide. Design of Flash and online graphics for Macworld.com and Macworld newsletters. Involvement at all levels of research, development and design for PCWorld.com and its network of sites. Supervision of production artists and outside contractors. Development of training and assessment program for entry-level production artists and designers. Technical liaison for the Business Development, Audience Development, and Online Marketing staff. Responsible for consistent branding within all collateral materials from print and online advertising to co-branded sites and new products. Responsible for the business and operational decisions for a community-based arts organization. Administration of over $250,000 annually. Implementation of a Capital Campaign to raise over $500,000. Member of the Marketing/Development Committee and the Capital Campaign Committee. Participating artist on several murals throughout the San Francisco Bay Area. Responsible for all levels of planning, design, color consultation, illustration and painting. Organization, publicity, and supervision for community paint-ins involving over 300 volunteers and students. Presentations and meetings with the Arts Commission, Parks and Recreation, and the Chinatown Resource Center. Website design, Information Architecture, HTML Coding, and Maintenance. Programming and content of web-based marketing materials. Development of graphic elements and user interface for corporate website. Advertisement design, product catalog layout and design, package design, tradeshow graphics, and corporate identity. Management of $350,000 annual budget: Advertising, Product Catalog, Tradeshows and all other Collateral Materials. Responsible for negotiations with publications that generated over $20,000 in savings. All level of conference services: Tradeshow marketing, planning, coordination and execution of events. Mechanical diagrams, file conversions and software support. Established strong foundation in Fine Arts and Studio Art Practice. Main topics explored included painting, printmaking, and illustration. Exhibitions include APAture 2002 and 2004, g1 studios 2003 ("Una Noche de Amor") and Oakland Open Studios 2007. After a good 7 years running Dogmo Studios, I got an offer I couldn't refuse and spent a year wearing pants and working at a sweet little edu-startup (see Little Passports on my résumé and samples of work for more info). The pants forecast for the second half of 2018 is unclear, but there's much afoot, including an inspiring collaboration with the good folks at the ACLU of Northern California on their #Powerthe14th Campaign. Created promotional materials (including a billboard!) for Amnesty USA's first ever Shine a Light on Human Rights award presented to His Holiness the 14th Dalai Lama. Started 2011 by taking the plunge, and dedicating myself to a little startup venture of my own. Focussed on extending skillsets in visual design, UX/UI, and mobile/web development. Spent 2010 on PCWorld | Macworld's design team as an Interactive Designer (Front-end coding in HTML/CSS, Wireframing and mockups in Photoshop/Illustrator, Interactive designs utilizing JQuery and Flash. Storyboarding, SVN/Eclipse, Agile Development Process). Responsible for all aspects of design and illustration for Weetwoo! Kids Video iPhone app.